Great quality in this freshly painted 2 bedroom/1bath condo in the Mission Villa condominium complex just minutes from downtown SLO. These units do not come up for sale very often! This condo is an upstairs unit at the back of the complex and features an open kitchen, dining area, cozy family room which opens to an enclosed sunroom, inside laundry room, deck areas, and common areas with landscaping. There is a one-car detached garage that comes with the condo and one extra parking space outside the garage. 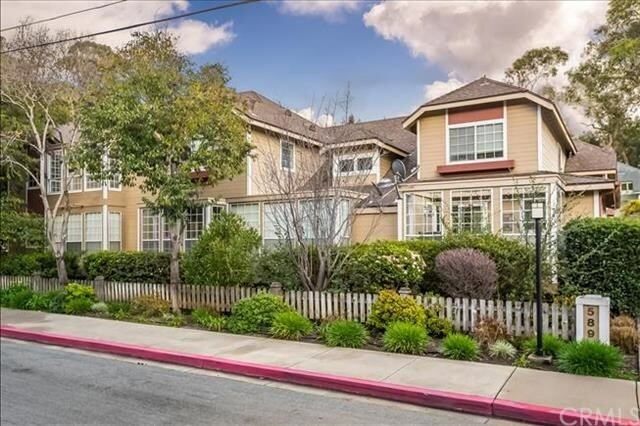 Close to downtown, public and private schools, Cal Poly, shopping, dining, and freeway access, this one won't last long. Could be the perfect home or student housing. Come take a look! Directions: Broad St. to Peach St. to Nipomo St. right to Brizzolara Street. Left on Brizzolara then first left into condo complex. Unit B is upstairs towards the back of the complex.